After high school on Long Island and a year at Brooklyn College, Marc Friedman hitchhiked west in 1971. "When I was in Banff," he says, "I was recruited to fight forest fires." Inspired by the experience, Friedman left New York for Alaska the following summer. He worked at many jobs, from building log houses to construction of the Alaska Pipeline. He also returned to school at UA Fairbanks, completed a degree in geography and regional development in 1978, and worked in land management for the university. "I realized that I was doing legal-type work, contracting for land," says Friedman, who decided on law school and chose the UO. "When I was hitchhiking, I visited Eugene and went to the Oregon Country Fair." He graduated in 1989, clerked for a year, then worked in criminal defense. "I opened my own practice in 1993," he says. 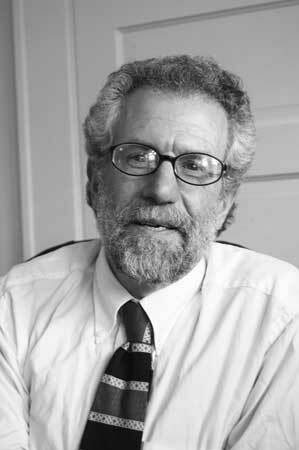 Friedman administered an indigent defense panel of 32 lawyers for the state from 2000 until the panel was disbanded seven years later, and afterwards set up a non-profit, Access the Law, to provide low-cost legal services. "We started seeing clients in January, 2010," he says. "We're focused on helping people in difficult situations." A year ago, ATL launched a free Veterans Legal Clinic, staffed by volunteer lawyers and held on the last Wednesday of each month. Veterans may call 541-242-0445 to schedule an appointment.